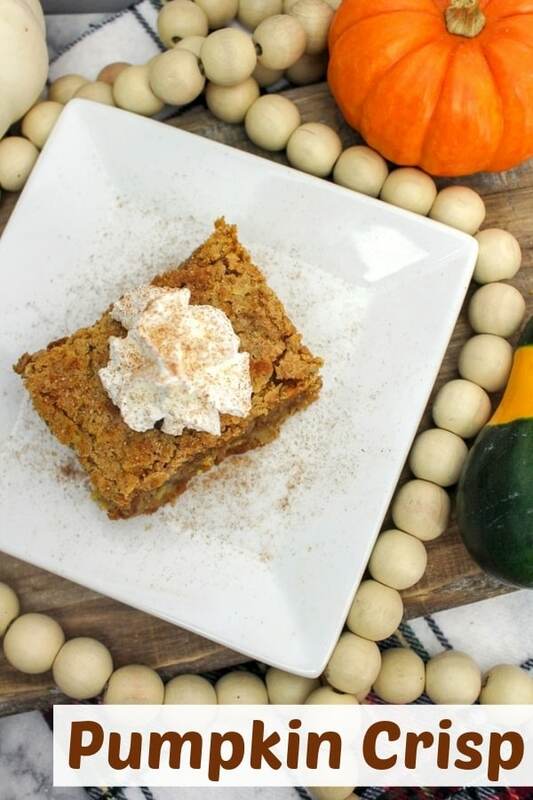 Warm and full of Fall flavor – once you try this easy pumpkin crisp recipe it will become your go-to dessert of the season. 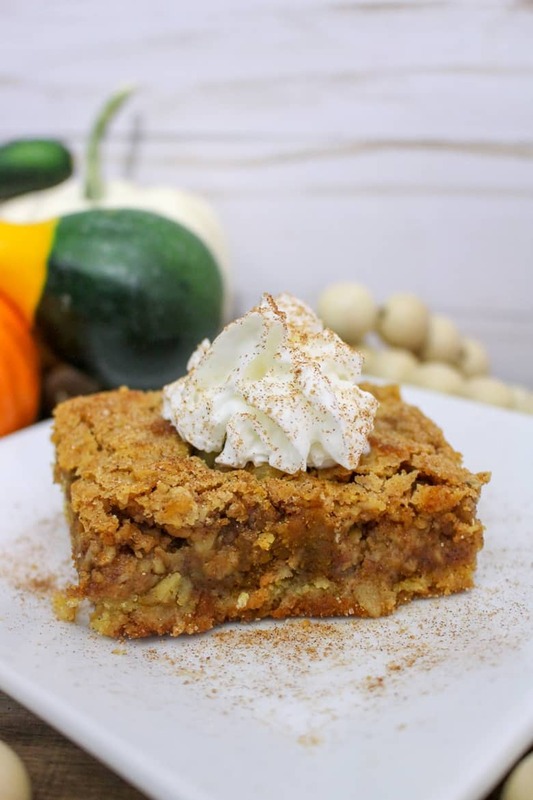 Okay, okay… I know that I promised to hold off on the pumpkin recipes and move focus to apple recipes, but this pumpkin crisp recipe is so incredible that I couldn't help but share it with you guys. I bet that you are wondering what is so great about this pumpkin crisp? Well, for starters, this Fall dessert is super simple to make thanks to a little shortcut — using a box of yellow cake mix. But don't worry, no one will know that you cut any corners in making this delicious pumpkin dessert because the finished product is amazing. 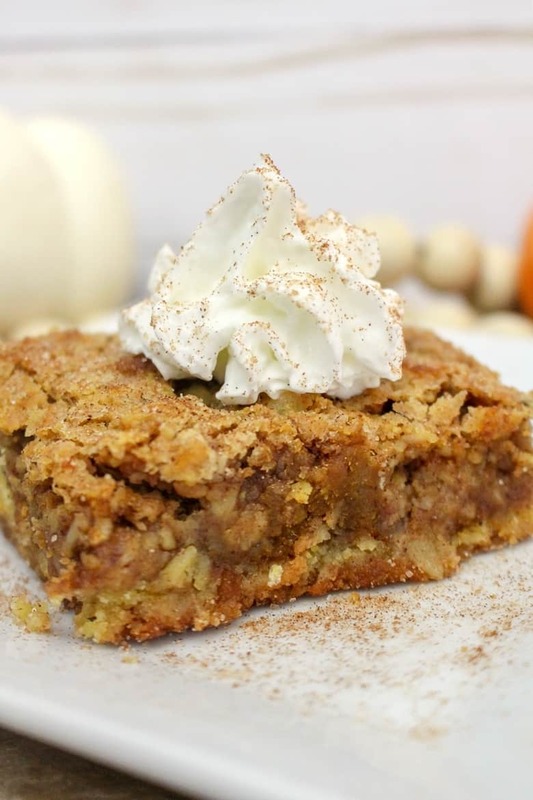 If you love pumpkin pie, you are going to go crazy for this pumpkin crisp! Begin by gathering everything that you will need. You will need your pumpkin crisp ingredients: yellow cake mix, pumpkin puree, oats, butter, sugar, vanilla, salt, nutmeg, cinnamon. 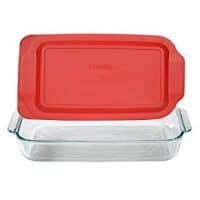 You will also need a 9 x 13 baking dish lightly covered in non-stick spray. Next, you will mix the ingredients to form the crisp's crust and press the crust into the bottom of the pan. Then, you will combine the next group of ingredients to make the pumpkin layer and spread it on top of the crust in the pan. Finally, you will make the topping and sprinkle it on top. Bake for 35-40 and it will be ready to be enjoyed — although you will want to give it a bit to cool down before digging in. Top with ice cream or whipped cream, if desired. But truth be told, this pumpkin crisp is so good you can enjoy it on its own instead. 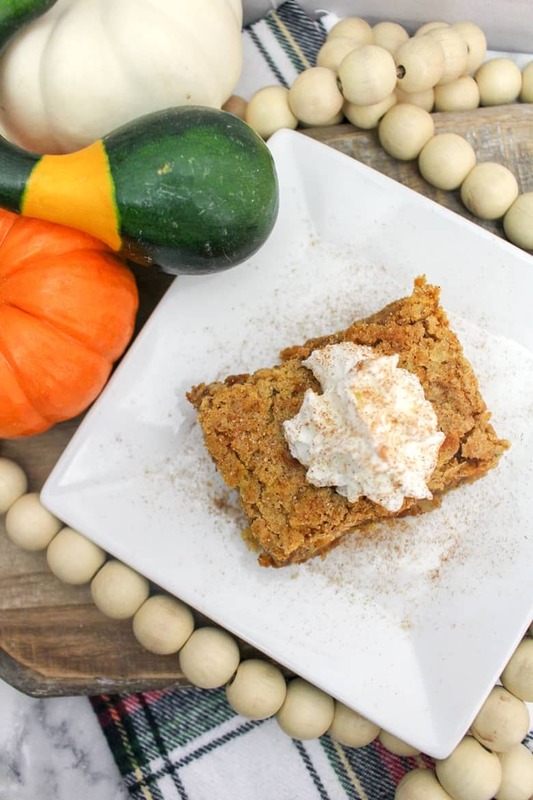 Warm and full of Fall flavors - once you try this easy pumpkin crisp recipe it will become your go-to dessert of the season. Crust: Stir the cake mix (minus 1 cup for the topping - set this cup to the side for later), melted butter, and egg until well combined. Spread evenly in bottom of pan, pressing mixture down firmly. Pumpkin Layer: In a bowl, whisk together pumpkin, egg, sugar, vanilla, salt, cinnamon, and nutmeg until well combined. Spread evenly over the crust layer. Topping: In a bowl, mix remainder of cake mix, oats, sugar and cinnamon until well combined. 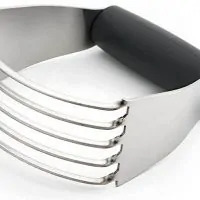 Cut in the cold butter with a pastry cutter or fork until it forms corse crumbles. Sprinkle topping evenly as final layer. Bake at 325 for 35-40 minutes, or until lightly browned. For the last almost 20 yrs this is what my family has been having at Thanksgiving instead of pumpkin pie. My recipe is similar. My family usually requests this instead of the pie. This is currently in my oven baking. I have gone over the recipe a few times to find the oven temperature. Can you help me out? My oven is at 350. Oh my, I really goofed! So sorry about that – it should be baked at 325. I just updated the post and hope that it didn’t mess you up too much! Again, my apologies! This looks delicious cant wait to try this. 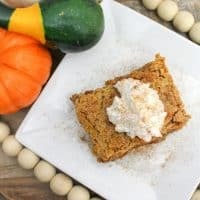 I love pumpkin but I have never thought of making pumpkin crisp. Now I can’t wait to try this recipe. Yum! I’ve made all kinds of crisp but never pumpkin. Looks amazing. Pinning to make this weekend.